By 8pm local time (+2 GMT) on 14 May 2018, the Israeli forces had killed 57 protesters in the Gaza Strip, including 42 during demonstrations along the eastern border fence. Among those killed were six children and one person with disability. At least another 2,000 persons were injured, including 304 children, 77 women, ten journalists, and three paramedics. 1,114 of the injured were shot with live ammunition and at least 70 persons are in serious or critical condition at hospitals, according to medical sources. Al Mezan’s documentation shows that at approximately 3am, Israeli forces entered the eastern areas of Gaza’s five districts and flattened the sand dunes that protesters had built up for protection, indicating an intention on the part of the Israeli forces to improve visibility for the purpose of targeting protesters. The Israeli forces also fortified the border fence with barbed wire. At approximately 6:30am, Israeli drones fire-bombed tents and field-based medical units. Some of the tents were destroyed. At approximately 9:30am, Israeli forces located on Gaza’s eastern border fired live ammunition, plastic-coated steel bullets, and tear gas at unarmed protesters as they gathered to demonstrate. At approximately 1:30pm, Israeli artillery fired two shells at a group of Palestinians near Al Shuhada cemetery in the east of Jabalia refugee camp, North Gaza. 15 persons, of them two children, were killed. The shooting into the protests intensified and continued until about 5:30pm. Ahmed Zaqout, who work for Reuters; Amr Hamdan, correspondent of the Algerian TV Channel; Mohammed Abu Dahrouj, who works for Al Quds TV Channel; Farhan Abu Hadayed, reporter of Safad Press Agency; Mohammed Al Dwaik, who works for Al-Etihad Press; Abdallah Al-Shorbaji, a freelance journalist; and Yaser Qdeih, correspondent of Palestine newspaper, who were all hit by live fire or shrapnel of live fire in the lower limbs. Al Mezan also documented the continued targeting of medical teams and equipment, which disrupted rescue operations. Ziad Al Nabaheen, a paramedic working for the Palestinian Red Crescent Society, was seriously injured in the abdomen by live fire. Also, Ibrahim Al Talalqa and Ahmed Obaid, both paramedics in the Military Medical Services (MMS), were injured by shrapnel from live fire. An ambulance of the MMS was also damaged by live fire. Al Mezan’s documentation shows that since the start of the demonstrations on 30 March 2018, 99 Palestinians have been killed, including 11 children, two journalists, one person on crutches and three persons with disability. During the same period, 6,938 were injured, including 1,244 children, 253 women, 42 paramedics, and 59 journalists—of them 3,615 were hit by live fire. While continuing to verify the documentation of incidents on the ground, Al Mezan reiterates its strong condemnation of the use of lethal and other excessive force by the Israeli forces, including sharpshooters, to police demonstrations. Palestinians in Gaza have the right to peacefully assemble to demand their fundamental and inalienable human rights. The case of protesters, who pose no serious threat to the Israeli forces, being shot lethally indicates a bold continuation of unlawful targeting practices, despite its legal consequences and international condemnation. Al Mezan asserts that the Israeli forces’ lethal and injurious targeting of protected civilians corresponds with the grave breaches of willful killing and willfully causing great suffering or serious injury unlawful under the Fourth Geneva Convention. This conduct is codified as war crimes under the Rome Statute of the International Criminal Court, which Al Mezan is cooperating with in the context of pursuing accountability for international crimes. 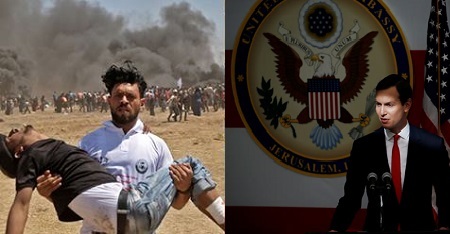 In recognition of the dramatic humanitarian and legal implications of today’s escalation, Al Mezan is urging the international community to take prompt steps to protect unarmed protesters and their right to peaceful assembly, to pressure Israeli forces to abstain from using unlawful force, and to allow free movement of patients, medical personnel, and medicines and equipment. Al Mezan is alarmed by the rapidly increasing number of casualties during today’s Nakba Day protests. By 4:30pm local time (+2 GMT), the Israeli military had killed at least 24 protesters in the Gaza Strip, including two children and one person with disability. At least another 800 Palestinians have been injured by live ammunition—many of whom are in critical condition. In the early morning hours, Israeli forces flattened the sand dunes built up by Palestinian protesters for protection, indicating an assumed intention on the part of the military to improve visibility for the purpose of targeting protesters. Also, at approximately 6:30am Israeli drones fire-bombed tents and field-based medical units. Some of the tents were destroyed. Within this context, and acknowledging the state of the crippled healthcare system in Gaza due to the illegal Israeli closure policy, Al Mezan is alarmed by the news that on 12 May 2018, the Israeli authorities denied the entry of a Palestinian Ministry of Health medical delegation to Gaza. The team of doctors from the occupied West Bank sought to provide medical treatment to casualties in Gaza. Al Mezan continues to verify the documentation of incidents on the ground and will issue updated information throughout the day. On 12 May 2018, Israeli authorities prevented a Palestinian medical team from the Ministry of Health (MoH) in the West Bank from entering the Gaza Strip. The team sought to support the provision of medical treatment to people in Gaza in light of the thousands of Palestinians injured in the Great Return March protests. Al Mezan condemns Israel’s continued movement restrictions for medical teams and calls on the international community to take prompt steps to ensure medics, patients, and drugs are able to move freely at crossings. A notice on the MoH website states that Israeli authorities rejected the entry request for the medical delegation, which was formed by the Minister of Health, Dr. Jawad Awwad. The team was mandated to provide medical support to Gaza hospitals in light of the huge demand stemming from Israel’s fervent and unlawful use of snipers and live fire on the unarmed Palestinian protesters. The longstanding closure and blockade of Gaza has depleted healthcare resources; currently, 257 of the most-needed medicines are zero stock (a shortage of 50%) and 247 of the most-needed medical necessities are in zero stock (a shortage of 29%). Medical equipment, medical professionals, and necessary training are in short supply and hinder the ability of Gaza’s doctors to effectively treat the wounded. In light of the challenges faced by the medical community in Gaza, Al Mezan condemns in the strongest terms Israel’s denial of entry to the medical delegation. The implementation of movement restrictions through Gaza crossings has hindered patient access to lifesaving medical care, with an immediate implication being, for example, that patients are forced to undergo amputations for leg injuries that could instead be operated on in West Bank hospitals. These restrictions are unlawful and contradict international law norms that oblige duty bearers to maintain adequate standards of health, and require Israel, the occupying power, to allow passage of healthcare supplies and equipment into the occupied territory. Al Mezan calls on the international community to take immediate and effective measures to stop the occupying power’s breach of international humanitarian law and human rights law, by ensuring that the special protection of civilians and freedom of movement of medics and patients is upheld. Al Mezan calls on concerned agencies, NGOs and international bodies to mobilize support for patients in the Gaza Strip whose lives are threatened by the current crisis. Doctors amputate legs of 2 wounded Gaza youth after Israel refuses to allow their transfer to West Bank hospital. 12 April 2018, available at: http://mezan.org/en/post/22655. On 11 May 2018, the seventh Friday of the Great Return March demonstrations, Israeli forces employed lethal and other excessive force and opened fire at Palestinian protesters along the border fence of the Gaza Strip. One protester was killed and about 350 were injured—including 76 children, three women, three paramedics, and six journalists. Of those injured, 163 were hit by live fire and ten were considered to be in critical condition. Al Mezan’s documentation shows that at 2pm on Friday, 11 May 2018, Israeli forces located on the eastern border of the Gaza Strip used live ammunition, plastic-coated steel bullets, and tear gas on unarmed protesters, paramedics and journalists. Jabir Salem Abu Mustafa, a 38-year-old resident of Khan Younis, was lethally shot with live fire in the chest at 4:30pm at the demonstration in eastern Khan Younis. Six journalists who were covering the demonstrations sustained various injuries when Israeli forces fired live ammunition and tear gas at them. The shooting continued until approximately 7pm. Al Mezan’s documentation shows that from the start of the Great Return March on 30 March 2018, 41 Palestinians have been killed in protests, including five children, two journalists, and two persons with disability. During the same period, 4,936 were injured, including 938 children, 181 women, 39 paramedics, and 49 journalists—of them approximately 2,500 were hit by live fire. Al Mezan reiterates its strong condemnation of the use of lethal and other excessive force by the Israeli military, including sharpshooters, to police the demonstrations. 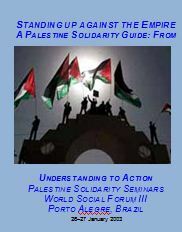 Palestinians in Gaza have the right to peacefully assemble to demand their fundamental and inalienable human rights. The case of protesters, who pose no serious threat to the Israeli forces, being shot lethally indicates a bold continuation of unlawful targeting practices by Israeli forces despite the legal consequences of the practice and international condemnation. Al Mezan asserts that the Israeli forces’ lethal and injurious targeting of protected civilians corresponds with the grave breaches of willful killing and willfully causing great suffering or serious injury under the Fourth Geneva Convention. This conduct is codified as war crimes under the Rome Statute of the International Criminal Court, which Al Mezan is cooperating with in the context of pursuing accountability for international crimes. Al Mezan calls on the international community to take immediate and effective steps to facilitate the protection of the peaceful protesters, who are practicing their rights to freedom of expression, assembly, and association by taking part in the demonstrations. Photos: A Palestinian carries an injured protester during clashes with Israeli forces near the border between the Gaza strip and Israel east of Gaza City on 14 May 2018. Sources: Mahmud Hams/AFP/ Getty Images, in Gaza, Ronen Zvulun/Reuters, in occupied Jerusalem.